Today, the U.S. Supreme Court issued a 5-3 ruling in the abortion facility medical standards case, Woman’s Whole Health v. Hellerstedt, striking down Texas’ rules protecting women’s health and safety. Justice Breyer said that the law would have created an obstacle for women seeking abortions. What Justice Breyer fails to realize is that women are driven to abortion because of obstacles they face in their life. And now, the Court has put the abortion providers’ interest above those of women. Who mourns for Karnamaya Mongar, a poor immigrant killed by convicted murderer Kermit Gosnell? Who mourns for Dawn Ravenell, a 13-year-old African-American girl who left for school one day, secretly had an abortion, and never came home? 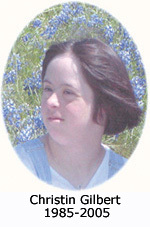 Who mourns for Christin Gilbert, a teen with Down Syndrome who died from a botched third-term abortion at the hands of George Tiller? WE DO. Not the abortion industry. Our goal is to help women and teenage girls never get near a clinic. Women must realize that the law will not protect them, doctors, educational institutions, and abusive fathers are not there to protect them or to help them overcome those obstacles. Women must stand up for ourselves and for each other. And we need the support of men, too. Fifty-nine percent of those seeking abortions are already mothers. So they know, they know, what “it” is — their own daughter or son. But out of desperation, they turn to abortion because they are so concerned about their situation, economically, or psychologically in terms of support from family, employers, educators, and most important, the father of the child. Unfortunately, abortion is not the solution. Empty arms and empty wombs do not solve her problems. 1. 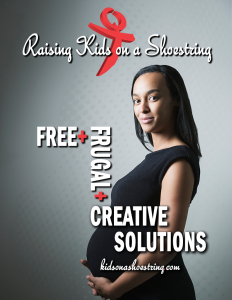 Download and post “Raising Kids on a Shoestring” posters where those highest risk need the most information, poorer communities, and on campus. 3. Make a generous gift now, in support of our work for the most vulnerable who are poor and are in college. Thank you for helping us bring about a better day for women and girls, the day when abortion is unthinkable.